The ring. 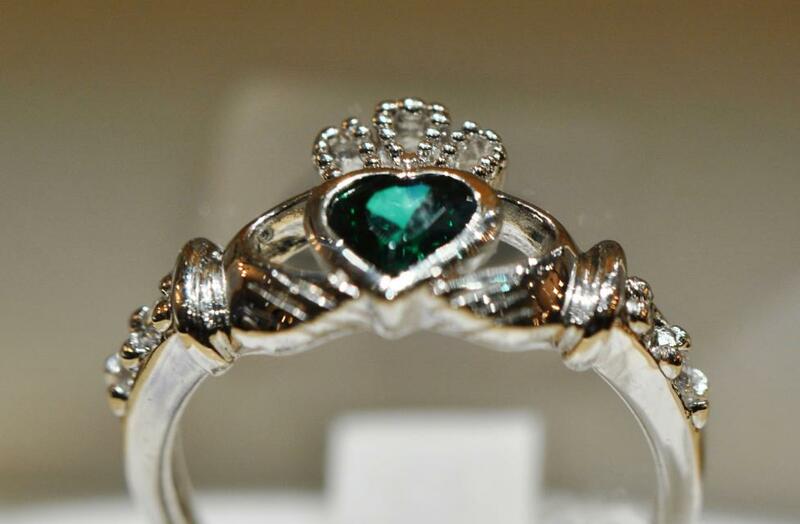 Most people have seen a Claddagh ring before. They symbolize love, loyalty and friendship and can be simple or blinged up, but did you know they were traditionally worn as engagement or wedding rings? The best part - you don’t even have to go to Ireland to get one. Ha’penny Bridge Imports has them shipped in so you can pick one out right here in Historic Dublin! The Venue. Choosing a venue can be difficult. The Golf Club of Dublin has a beautiful ballroom with 25 foot vaulted ceilings and alabaster chandeliers, complete with bay windows and French doors leading outside. Not to mention the spectacular views of the British Isles inspired golf course which could also serve as a great backdrop for photographs. Want something more intimate? 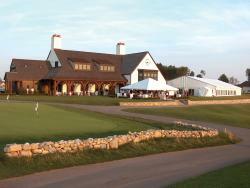 The Scottish Manor has a rich wood interior, perfect for the smaller wedding, and still provides amazing views. The music. While the Wedding March is certainly traditional, we prefer tradition of a different sort. Imagine yourself walking down the aisle to the tune of a bagpipe, or the sweet sound of a fiddle. Dancing. While I have no doubt of your ability to “Cha Cha Slide” or “Cupid Shuffle”, wouldn’t it be nice to take a break from the dance floor and let some trained Irish step dancers take over for a bit? The Richens/Timm Academy of Irish Dance is located right here in Dublin and is always ready to send some of their finest to perform and teach your guests a traditional jig or ceili dance. The attire. If you really want to make your wedding stand out, have the groom and maybe even the groomsmen dress in kilts. Our friends over at Ha’penny will help you pick out the perfect style and rent them to you. Who knows, they may come in handy when it’s time to bust out a jig. The food. The meal can make or break a wedding. Don’t risk ruining your reception when you can enjoy the day stress free with catering from Sunny Street Café or Whole Foods. Not only is the food high quality, but you can also add Irish fare to your menu with traditional dishes such as Craggaunowen Chicken, corned beef and cabbage, and Irish soda bread from Sunny Street. 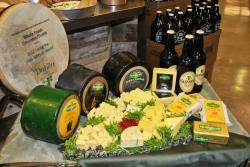 Whole Foods also offers unique Irish dishes such as Guinness Irish Beef Stew, potato cabbage bundles, Irish cheeses and more. The rehearsal dinner. Dublin is home to many unique restaurants that would love to host your dinner or reception. Get the authentic Irish experience at The Brazenhead, modeled after Ireland’s oldest pub. The bar was even imported from the Emerald Isle! With a spacious outdoor (and lighted) patio and large basement for gatherings, your rehearsal dinner is sure to be a sham-rockin’ good time. Want to add even more Irish influence to your wedding? Check out our Pinterest board for all kinds of Celtic wedding inspiration. Plus, download your own copy of our Dublin Wedding Guide.